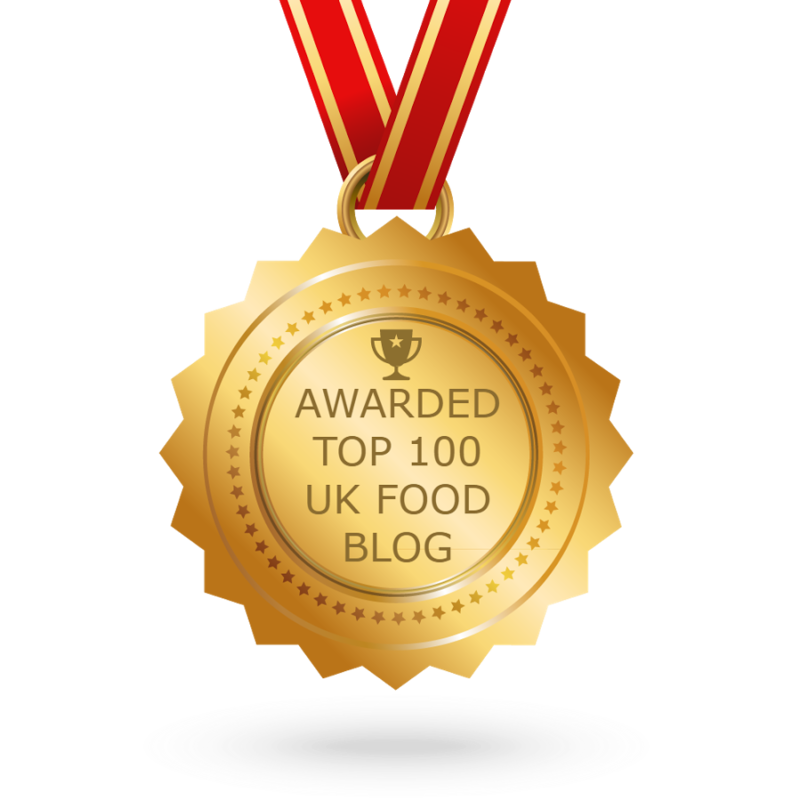 I have been lucky enough to be asked to review a new limited edition range of bakeware by the people at George Wilkinson. Named Great British Bakeware, the range has vintage styling on the outside twinned with superior non-stick coating GlideX on the interior. 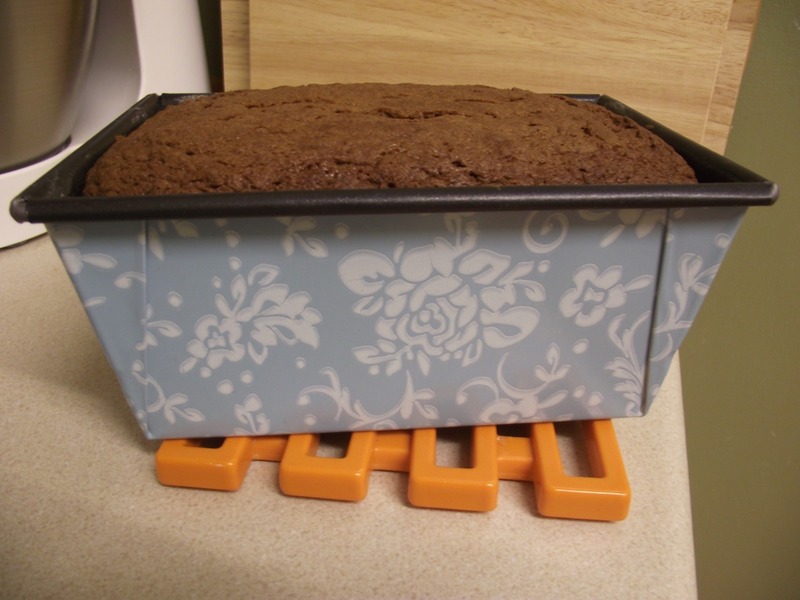 The bakeware does look very appealing, and I was given a 2 lb loaf tin to review. 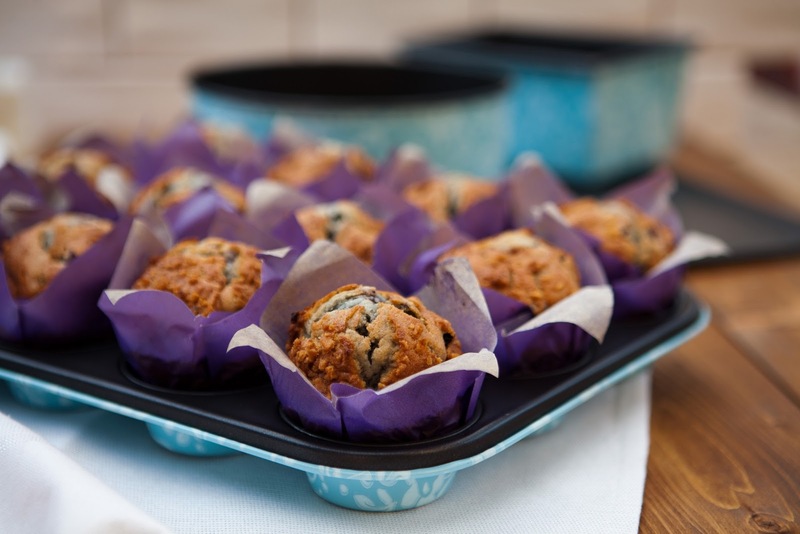 The range also features an 8” cake tin, a 14” baking sheet and a 12 cup deep muffin tray as you can see in the images above and below. As well as being able to review this great range, I also have a set of the four items to giveaway – the entry form for the giveaway is at the bottom of this post. Back to the review for now, and I chose to review the loaf tin. I don’t know about you, but I always find loaf tins are the one piece of bakeware which never truly releases it’s baked item, or cleans up 100%. I decided to make a Pennsylvania Spice Dutch Cake (more about that in my next post) as it was a very wet, sticky batter. I greased the tin lightly as recommended and popped it in the oven to bake. And I can honestly say that the resulting loaf cake turned out from the pan with ease and had the sharpest corners on a loaf I have ever seen. When washing by hand, the tin cleaned up exceptionally well, with no hard scrubbing, and there were no gungey bits left in the corners, as I usually find in loaf tins. Bonus!! I would thoroughly recommend Great British Bakeware for it’s fantastic non-stick qualities. And the design on the outside makes it stand out from all the other drab and boring tins in my collection. The bakeware can be bought from Amazon. But if you would like the chance to win the loaf tin, cake tin, baking sheet and muffin tray – worth £55 in total, please enter below. The giveaway is open to UK residents only and the closing date will be midnight on 18th March 2013, giving you a full month to enter. I would love to win Great British Bakeware so I can bake bake bake. I would love to win this so much! Would be perfect for me, my son and sister to bakeeeeeeeeeeeeeeeeeeeeee more! I like the look of this bakeware, I do like the vintage styling very much.I bake madeira loaf in a silicone loaf pan as I haven't got a metal one, would be nice to compare the difference. I really like how they look and they would really fit in with the design of my kitchen. I would really really really like to win! I would love to win so even when my baking turns out terrible the tins will make t look fab anyway! I adore this stuff! Mine looks so awful in comparison! I just love it! The type of bakeware used for a specific recipe will make a difference in how the dish turns out. Some bakeware, for instance, may conduct heat poorly; others may discolor certain ingredients in the recipe. I would really love to, all my kitchen stuff is getting quite old and battered so really needs freshing as in all my bake ware and pots and pans too so this would be lovely! these are so pretty! Makes a nice change from plain ol' black! I'd love to win these as I never bake but since having my son, I'm eager to learn so we can do it together when he's a bit bigger! I'm in desperate need of some new baking tins, and these are so pretty! would love, love, love to win! I've never seen bakeware like this before - it all seems to be either silver (coloured - not the metal LOL) or black. Using something as beautiful of this would really add to the pleasure of baking. These are so pretty, I love baking and have never seen anything as nice as this. These are just gorgeous, I would love to bake with them I think they would make it all the more a pleasurable experience. Would love to win this bakeware, it looks great! Would love to win - looks great! I would love to win Great British Bakeware as it looks so good and I know it bakes well. I'd love to win these as my old tins are over 20 years old and I could really do with replacing them with something pretty as well as useful! 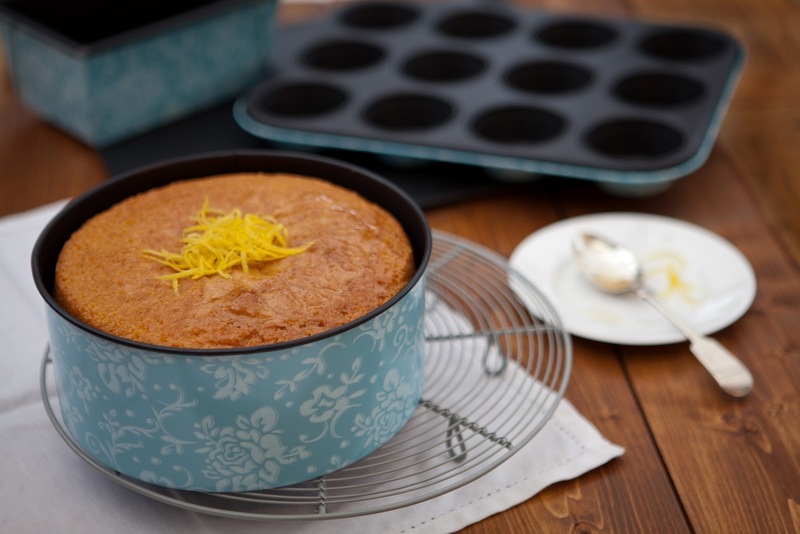 Never seen such beautiful bakeware, a real change from the usual plain tins. Would love to win these as my daughter and I love baking together. I would love to win this bakeware set as my current ones don't match and are very scratched. I would love to win. Most of our cookware is mismatched, and the non stick is scratched off in places. Over used! I would really really like to win, so I could give this to my Mam who adores baking. I would really love to win these to replace my battered old baking tins. It would make my mother-in-law jealous. My old tins are now 27 yrs old so it would be nice to have some new ones. I'd REALLY love to win - it's gorgeous! Would love to start my bakeware collection here! 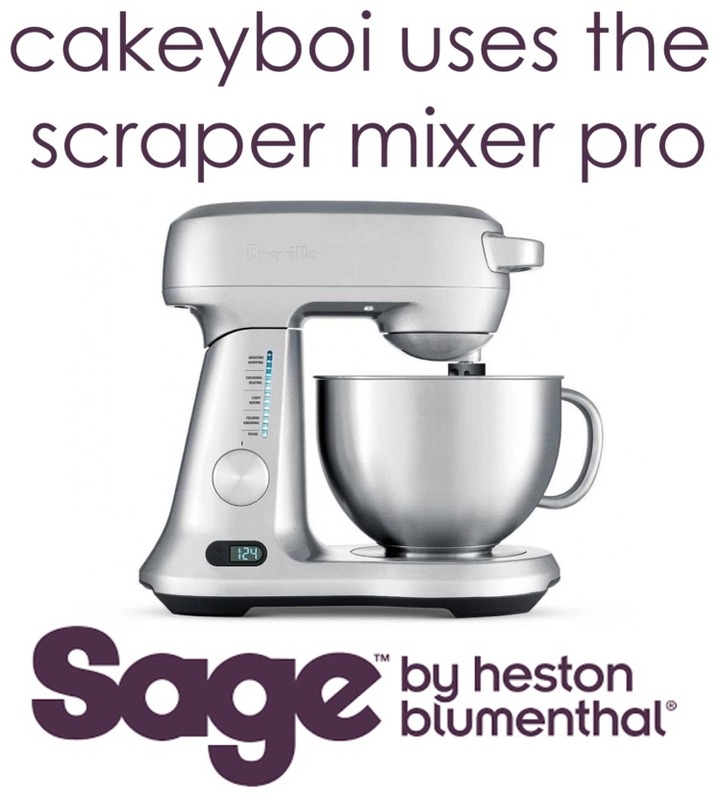 I would love to win as it's so pretty, my family loves baking and your reviews are great! I would love to win this, it's very pretty. 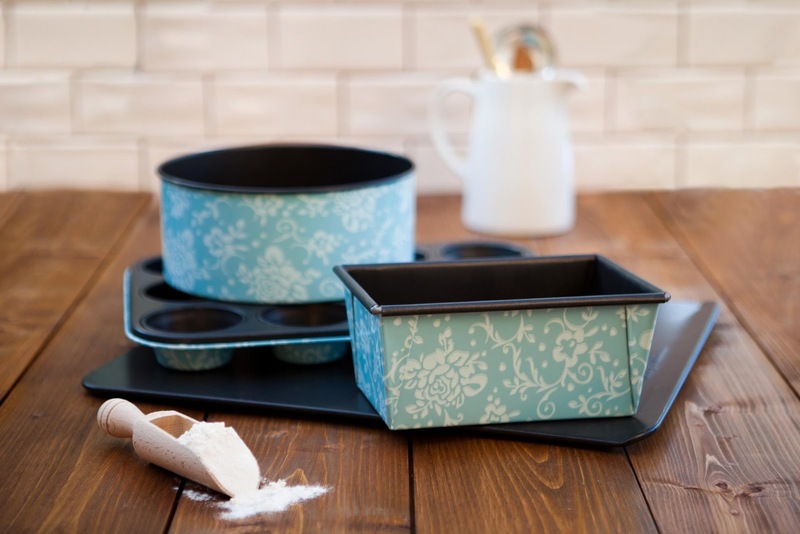 How cool is this bakeware range - love it! I am the official office baker so please help me to keep my pole position! I would really, really love to win the Great British Bakeware, because I would love to bake more but don't have enough tins! Absolutely gorgeous!! I'd give them to my mum though she loves making cakes! This bakeware set looks like the real deal. I have an overflowing of baking paraphernalia but you can't have too many cake tins in my opinion! Always happy to have new kitchen goodies, and I bake a lot. love baking and my bakeware is ready for the dustbin!! This would be amazing, my teenage daughter is just getting into baking too and extra equipment would be fab. They also would look great in my cream and blue kitchen. I love baking but all my tins are getting too old! Would love to win these!